Whelan's » Blog Archive » AILIE. 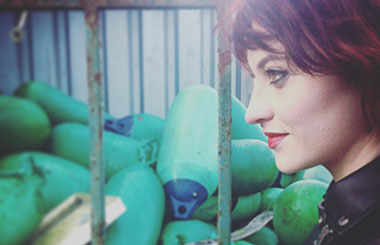 2017 was a pivotal year for Ailie Blunnie with the release of her début album “West to the Evening Sun” (Nov. 2017, Happy Out Records). NY Irish Echo’s “top pick for best début album and best début artist in 2017”, the Leitrim musician takes her critically-acclaimed blend of experimental folktronic to the main stage of Whelan’s for the first time on Sunday 18th March 2018. Influenced by her academic studies in music and psychology, Blunnie’s sound melds assured songwriting, inventive arrangements, and newly-expanded soundscapes developed in collaboration with producer Daragh Dukes (Headgear/Wyos/Asylum Speakers/RTE).